The MTM program is designed by Medicare to help members get the most benefit from their medicines. This program is not a benefit, but it is offered to eligible Medicare Part D enrollees who have multiple chronic conditions and take several medicines. If you meet the MTM program eligibility criteria, a pharmacist will work with you and your doctor to make sure all the medicines you take are necessary, safe, and effective. Best of all, this is a free service for eligible members. What services are offered in the MTM program? If you meet the MTM program eligibility criteria, you will receive a letter explaining the program and you will be offered the chance to talk with a pharmacist by phone to review all your current medicines. If you do not respond to our letter, we will contact you by phone to explain the program and schedule an appointment with a pharmacist. A pharmacist talks with you about your prescription medicines, over-the-counter medicines, and herbal and dietary supplements. The pharmacist reviews the medicines you take, checks for any problems with your medicines, and talks with you about any concerns or questions you have about your medicines. After you talk with the pharmacist, you get a written summary that includes a letter, a medicine action plan, and an updated medicine list. personal medicine list (PDF). For copies of other MTM service documents, contact Member Services. If you decide not to schedule a comprehensive medication review with a pharmacist, we will conduct targeted medication reviews and look for ways to save you money and, if needed, suggest safer medicines to you or your doctor. How will I be notified about the MTM program? 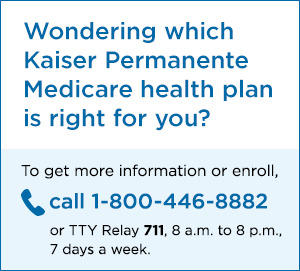 If you meet the MTM program eligibility criteria, a Kaiser Permanente MTM team member will contact you by letter and/or telephone to offer you a chance to speak with a pharmacist for a comprehensive medication review. You may also receive a letter or phone call from a pharmacist if we identify any opportunities to save you money or to suggest ways to take your medicines more safely. 1. Have 3 or more chronic conditions, such as cerebrovascular disease, cardiac disease, diabetes, high cholesterol, heart failure, high blood pressure, osteoporosis, rheumatoid arthritis, HIV/AIDs, multiple sclerosis, or asthma. For more information about this program, call Member Services.